Bereits seit 1986 (Duisburg-Rheinhausen) ist die Fa. YONEX Haupt- und Titelsponsor der German Open Badminton Championships (1990 zusammen mit Intersport). 2008 ist der japanische Sportartikelhersteller damit zum 22. Mal in Folge Haupt- und Titelsponsor. 1947 gründete Minoru Yoneyama die Yoneyama Company, Ltd. Die Firma stellte zunächst nur Holzprodukte her, darunter vorwiegend Holzschwimmer für Fischernetze. Nicht viel später wurden die Produkte der Yoneyama Company jedoch durch neuartige Konkurrenzprodukte aus Plastik verdrängt. Frustriert darüber, dass die Konkurrenzfirmen fortschrittlichere Produkte entwickelt hatten, beschloss Yoneyama, von da an nie mehr der Konkurrenz technologisch hinterherzuhinken. In den folgenden Jahren war es deshalb seine Firma, die Innovationen vorstellte und zu einem der Top-Ausrüster unter den Sportausrüstern zu avancieren. 1957 wurde mit der Produktion von Badminton-Schlägern aus Holz begonnen, die allerdings zunächst unter einem anderen Markennamen verkauft wurden. 1961 stellte die Firma dann den ersten "Yoneyama"-Badminton-Schläger vor. Zwei Jahre später wurde in Tokio die Yoneyama Sports Co. Ltd. - die heutige YONEX Trading Co. Ltd. - gegründet, um von dort aus international Rackets zu vertreiben. Besondere Aufmerksamkeit erfuhr die Firma 1969, als Yoneyama mit dem #700 den ersten Aluminium-Schläger vorstellte. 1973 wurde schließlich das heute weltweit bekannte YY-Logo in blau und grün vorgestellt und ein Jahr später Firma und Produkt in "YONEX" umbenannt. 1978 folgte das erste ultraleichte Graphitracket: Der "Carbonex-8" wird auch heute noch - vor allem in Asien - verkauft. Vier Jahre später, nach verschiedenen Innovationen sowohl im Badminton als auch im Tennis war YONEX ein regelrechter Graphitspezialist und erfand die weltweit ersten Golfschläger, die nur aus Graphit bestanden. 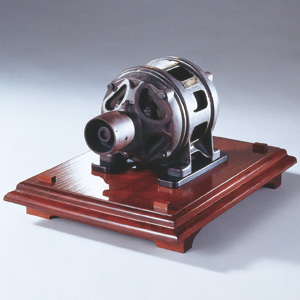 In 1946, just after the end of World War II, YONEX is established using a single one horsepower motor. 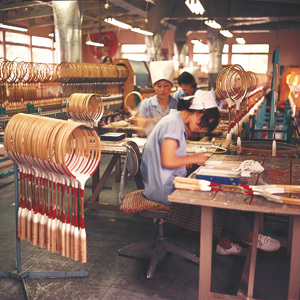 After refining the technique of wood manufacturing, YONEX starts to manufacture badminton racquets in 1957. In 1969, YONEX embarks on tennis racquets made with aluminum, and then in 1982, YONEX starts to produce golf clubs made with raw carbon materials. Today, YONEX's business also encompasses the snowboard and walking shoe industries. It has not been an easy ride during the company's 60 year history. YONEX has learned that “the toughest situation makes the greatest chance.” This spirit will carry YONEX through all the challenges it takes to make the next 100 years successful. Minoru Yoneyama founds Yoneyama Company, Ltd., a producer of wooden floats for fishing nets. His wood-crafting business thrives until modern advancements - namely plastic floats - force the company out of the float business. At this time, frustrated by being pushed aside by advanced technology, Yoneyama vows never again to be left behind technologically. Thus, he begins a commitment that eventually leads to innovations in the world of golf, tennis, and badminton. Relying on strengths in wood crafting, the Yoneyama Company evolves into manufacturing badminton racquets in 1957 under other brand names. 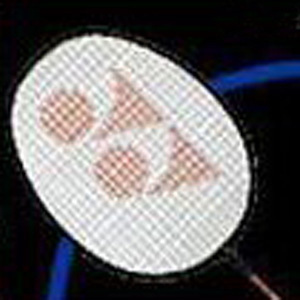 The first "Yoneyama" brand badminton racquet is introduced. Two years later, Yoneyama Trading, Ltd., is established in Tokyo to distribute the racquets internationally. The company's commitment to innovation attracts significant attention in 1968 when Yoneyama introduces the world's first aluminum badminton racquet, the #7000. The Yoneyama Company diversifies into the tennis racquet industry. The company's new 'YY' logo with the blue and green color combinations is introduced and soon become a familiar sight on badminton and tennis courts around the globe. One year later, the company and brand name changes to YONEX. The world's first ultra light badminton racquet - Carbonex 8 - is introduced. YONEX signs the Grand Slam champions, Billie Jean King and Martina Navratilova. YONEX's commitment to innovation bring exciting changes to tennis racquet manufacturing with the introduction of the R-series in 1980. The R-1 is the world's first square or 'isometric' tennis racquet. Following the successful use of lightweight materials to build racquets, YONEX begins to explore similar applications in golf clubs and soon introduces the world's first all-graphite head driver; the Carbonex II. This is followed by the first graphite headed iron, aptly named the Carboniron. 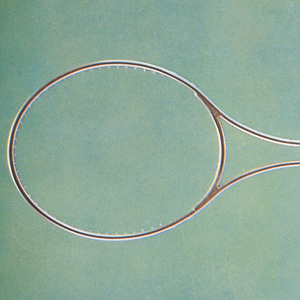 The super light R-7 is the first tennis racquet to win both the French Open and Wimbledon. The YONEX Corporation is established in the United States as a subsidiary of YONEX Company, Ltd. Martina Navratilova wins Grand Slam titles in both the singles and doubles categories with R-22. This is a world first. YONEX becomes the exclusive sponsor of the All England Badminton Championships. Prince Edward honors the tournament with his presence. Martina Navratilova successfully wins six consecutive Wimbledon titles. YONEX launches the A.D.X. Widebody golf club line, the first manufacturer to feature widebody club heads. In that same year, an A.D.X. driver makes the Guinness Book of World Records when it is used to hit a 412 yard drive, the longest drive ever in a PGA sanctioned event. YONEX signs tennis star Monica Seles, the latest of many world-class players to endorse YONEX racquets. With YONEX, Monica becomes the youngest female player to achieve a World #1 Ranking and has won numerous Grand Slam titles. Building on the success of the isometric design in tennis, YONEX introduces the world's first isometric widebody badminton racquet, the "Isometric 500". 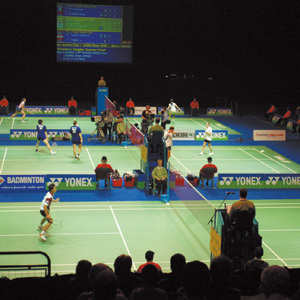 In August 1992, YONEX is present on two fronts as badminton entered the Olympic arena. On the courts, YONEX players win every gold and silver medal awarded. In addition, YONEX is the official equipment supplier to the Olympic Games in Barcelona. YONEX becomes a listed company on the Tokyo Stock Exchange. Utilizing an entirely new production technique titled "Inner Pressure Molding", YONEX introduces the Super A.D.X. driver and fairway woods. The 300cc Super A.D.X. driver achieves instant success when it is used to win the 1994 U.S. Open Long Drive Championship. YONEX introduces the first Graphite Composite Snowboard on to the Japanese market. YONEX is named official licensee of the Atlanta Centennial Olympic Games and is also nominated the Games' official Badminton Equipment Supplier. In competition, players competing with YONEX racquets, footwear and clothing capture every Gold, Silver and all but one of the Bronze medals awarded in badminton, reconfirming YONEX's dominant position in the sport. Monica Seles maintains her undefeated record at the Australian Open as she captures the ladies singles title using the YONEX SRQ-500 Long. The Wimbledon men’s singles final is an all-YONEX event with Richard Krajicek becoming the champion, using the new Super RD-tour. Meanwhile up and coming YONEX star, 15 year-old Martina Hingis, becomes the youngest ever Wimbledon Champion as she won the ladies doubles title. YONEX Teradomari Country Club is officially opened in Japan. YONEX introduces its line of Super A.D.X. irons, combining graphite and steel in a unique hybrid club, and featuring the thinnest steel face on the market. The senior and ladies models feature ultra lightweight graphite shafts weighing 1.8 ounces, the lightest in the industry. YONEX introduces its first-ever metal driver, the Super A.D.X. Titanium. The titanium driver begins the next technological phase, which takes YONEX to the next level in product development, initiating a return to prominence among distance-conscious golfers. Followed by the introduction of the Super A.D.X. Titanium Hybrid irons, YONEX now has a complete set of irons and woods for golfers of all levels. A 16-year old Martina Hingis wins the Australian Open with the Pro RD 70-Long and moves to #1 in the world rankings, following in the footsteps of fellow YONEX player Monica Seles. At 16 years, 6 months, she becomes the youngest player to achieve the number one world-ranking status. 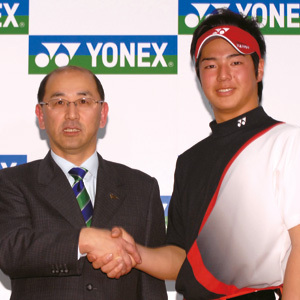 In 1997, Minoru Yoneyama, founder of YONEX, becomes Chairman of YONEX Group and appoints Kosaku Yoneyama as the new President of YONEX. YONEX complements the titanium line with the introduction of the Super A.D.X. Titanium Senior woods and irons, resulting in a shaft 30% lighter than standard graphite shafts. YONEX staff member, Scott Hoch, is selected for the Ryder Cup Team. He also wins the Greater Milwaukee Open, the eighth PGA Tour win of his professional career. The YONEX Sports Development Foundation is established to support all levels of youth, high school, and university sports development and education. Chairman Minoru Yoneyama receives the Vince Lombardi Award from the Boy Scouts of America, Los Angeles for continuous contribution to youth education through sports. This is established as a non-profit foundation. March 1998 marks the first time in YONEX history that YONEX had world ranked #1 tennis players for both men and ladies with Marcelo Rios and Martina Hingis. 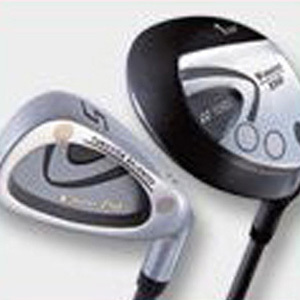 In the 1998 PGA Show in Orlando, YONEX introduces stainless steel woods and irons with P.P.S. shaft technology - the Super A.D.X. 200 line. 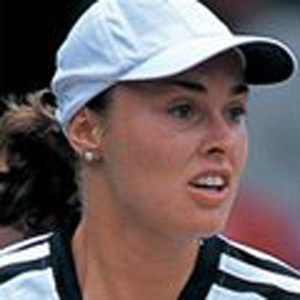 Martina Hingis wins her third consecutive Australian Open title for both singles and doubles using her YONEX racket. YONEX signs a Tennis Racket Contract with young Australian Lleyton Hewitt. YONEX becomes Title Sponsor of the Japanese Ladies Pro Golf Association Event at YONEX Teradomari Country Club. The event is named the YONEX Ladies Open. 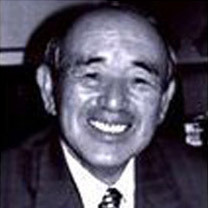 In March 1999, Chairman Minoru Yoneyama receives the Special Meritorious Award from the Badminton Association of England, for his continuous support of the All England Badminton Championship. This award is handed to Chairman Minoru Yoneyama by Prince Andrew, at the sight of the 100th All England Badminton Championship. 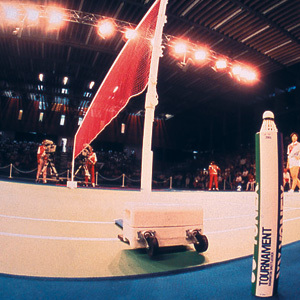 YONEX becomes the Official Badminton Equipment Supplier of the 2000 Sydney Olympics. 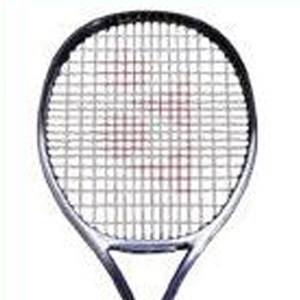 At the Sydney Olympics, the YONEX racket wins Gold, Silver and Bronze medals. YONEX introduces their first Walking Shoes using a new shock absorbing material named Power Cushion, for the Japanese Market. 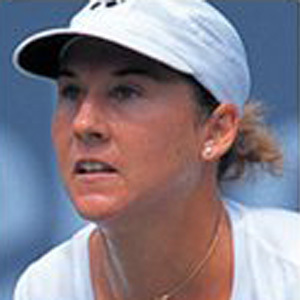 YONEX signs Monica Seles to a "full" contract including Tennis Rackets, Shoes, and Apparel. YONEX introduces the first V-mass series of golf clubs. The V-mass 250 features metal head wood clubs with strategic Tungsten Weight Balance. The V-mass 250 reconfirmes YONEX's commitment to long distance through superlative technology. Chairman Minoru Yoneyama is decorated by the Japanese Government for his contribution to sport. 2001 marks the 55th anniversary of the founding of the Yoneyama Company. At the end of the year, Lleyton Hewitt wins the U.S. Open, becoming the youngest number one player in history. YONEX introduces the new V-mass 350, titanium head wood. Concurrently, the V-mass 350 iron is launched featuring a strategic Tungsten Weight Balanced cavity back. YONEX continues to be driven to produce the most technologically advanced sports equipment to benefit and enable players at every level to play their sport at a higher level. The V-mass 350 features the proprietary UL-Titanium composite graphite shaft, which generates more club head speed. 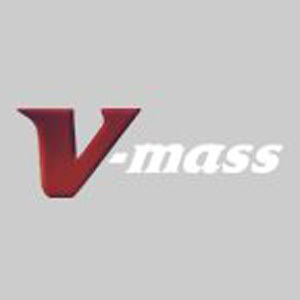 The V-mass 350 driver is chosen as "Best of the Best Drivers" by Rankmark in 2001. YONEX opens the first agency in China started selling YONEX’s products in Chinese market. YONEX introduces the new V-mass 350 Plus Driver with a 330cc Titanium head and the V-mass 400 Driver with 400cc Titanium head featuring High Power-Wave Face, which creates extra power, distance, and a larger impact sweet zone. And like the V-mass 350 driver in 2001, the V-mass 350 Plus driver is chosen as "Best of the Best Drivers" by Rankmark in 2002. YONEX is selected as the “Super Brand” - the most influential brand - in Indonesia and Malaysia. YONEX presents a special racquet to Mrs. Megawati, the former president of Indonesia as a memento of wining the award. 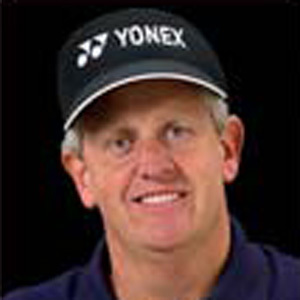 YONEX Corporation signs Colin Montgomerie to a multi-year International Tour player endorsement contract. Colin Montgomerie is not only a 7-time European Tour Order of Merit winner. He has also amassed 32 career victories worldwide, including 27 wins on the European Tour, has been a member of six European Ryder Cup teams, and captained the GB & Ireland team in the Seve Trophy in 2000, 2002 & 2003. Additionally, in dramatic comeback fashion, Monty wins the 2004 Caltex Masters for his 33rd career International win. “Cyberstar NANOV driver” wins the long drive championships at the D-1 grand prix in Japan. This substantiates the catch copy” drive over high repulsion”. Colin Montgomerie claims his record-breaking 8th European Tour Order of Merit. YONEX diversifies into the health sports industry. YONEX also invents “Inner Wear” technology using eucalyptus as a raw material. YONEX celebrates their 25th successive year as title sponsors at the YONEX All England Open Badminton Championships. 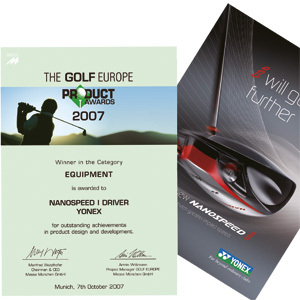 Nanospeed i driver is awarded “Winner of the Golf Europe Product Awards”. Ryo Aono, YONEX contracted professional snowboarder, wins the World Cup Half-Pipe Championships. At the Beijing Olympic Games, all 24 Badminton Medals are awarded to YONEX contracted players, a feat that no other Sports manufacturer has achieved. Elena Dementieva wins Gold in Beijing (Ladies Singles). YONEX signs tennis superstar Ana Ivanovic, who goes on to win in the French Open and then reaches the illusive World No.1 spot. YONEX signs a head-to-toe contract with Ryo Ishikawa, who creates history, becoming the youngest Japanese professional golfer to win on the Japanese tour aged 17. Ryo is the runner-up at Japan Open 2008. Colin Montgomerie is unveiled as the 2010 Ryder Cup Captain to be staged at Celtic Manor. YONEX signs World No.1 badminton player Lee Chong Wei, who wins the Silver medal at the Beijing Olympic Games in 2008. YONEX launches ArcSaber Z-Slash, the first of a new generation of slim racquets. During initial testing at Tokyo Metropolitan Gymanasium, smash speeds are recorded at 421km/h, the fastest ever recorded (as of Sepember 2009) by YONEX. YONEX's Product Ambassador Monica Seles is inducted into the Tennis Hall of Fame due to her illustrious achievements in tennis. Lleyton Hewitt surpasses 500 victories on the ATP Tour, joining an elite group of players. Ryo Ishikawa wins four titles on the Japanese Tour. Ryo competed at the prestigious Presidents Cup in the U.S.
YONEX sponsor the 100th All England Open Badminton Championships. ARCSABER Z-SLASH records the unprecedented speed of 421km/h, which has been recognized as a new world record. Ryo Ishikawa records the lowest score ever on a major golf tour, 58. YONEX Golf China Co., Ltd is established at Shanghai. World No. 1 badminton player, Lee Chong Wei wins six Super Series titles and third consecutive Super Series Masters Finals title. YONEX signs World No. 1 women’s tennis player Caroline Wozniacki. YONEX signs three-time ATP tournament winner, Stanislas Wawrinka to endorse racquets, shoes, apparel and bags. YONEX enters the football kit market in Japan, and supplies Japanese football club, Kashiwa Reysol, as the official kit supplier. Playing with ARCSABER FB badminton racquet and SHB-01LX shoes, Thailand’s badminton starlet, Ratchanok Intanon becomes the youngest ever singles world champion in the BWF World Championships at the tender age of 18. She is also the first Thai player to take a World Championships title. YONEX launches the NANORAY Z-SPEED badminton racquet setting a new Smash Speed World Record of 493km/h. It breaks the previous record that YONEX established with the ARCSABER Z-SLASH, 421km/h in 2010. YONEX enters two new businesses, sport bikes and wind turbine blades in Japan, further utilizing our unique and experienced understanding of carbon technology. Switching to the VCORE Tour G tennis racquet from the beginning of the year, Stanislas Wawrinka captures his first Grand Slam title at the Australian Open defeating three world top 10 players in the process.